Paul Chard joined the Pharmaceutical industry in 1987 as a medical sales representative in the UK and over the next 11 years continued to progress his career, moving from Sales Trainer to District Sales Manager and on into Marketing. Paul moved back into Sales Management becoming Regional Director and Head of Sales. He has sold and managed in a variety of therapy areas and understands the variety of challenges faced having faced many similar challenges himself. In 1999, Paul moved to the service sector of Healthcare providing Contract Sales and Recruitment Services, through firstly a UK based CSO and then his own Company. 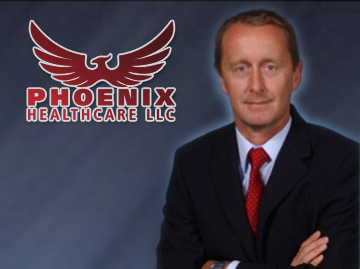 In 2005, Paul relocated to the United States to run the CSO business for a multi-national Company and then went on to create Phoenix Healthcare in 2009; a company that would provide innovative, individual Sales and Marketing solutions for companies in healthcare sales. In 2012, Paul became a US citizen and hopes to continue to help companies in his new home country with tailor-made programs for their unique business needs.